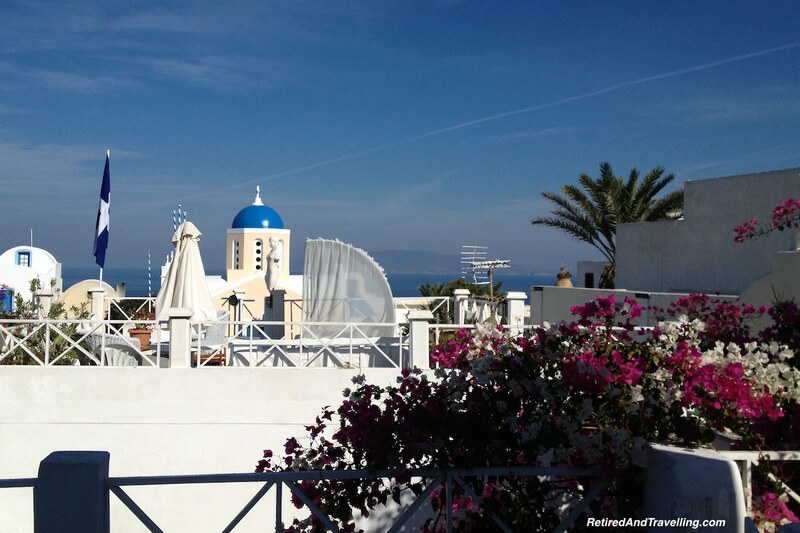 When people often think of the Greek Islands they imagine the stunning iconic views of Mykonos and Santorini. But Greece has more to offer on over 6,000 islands (although only 227 are inhabited). 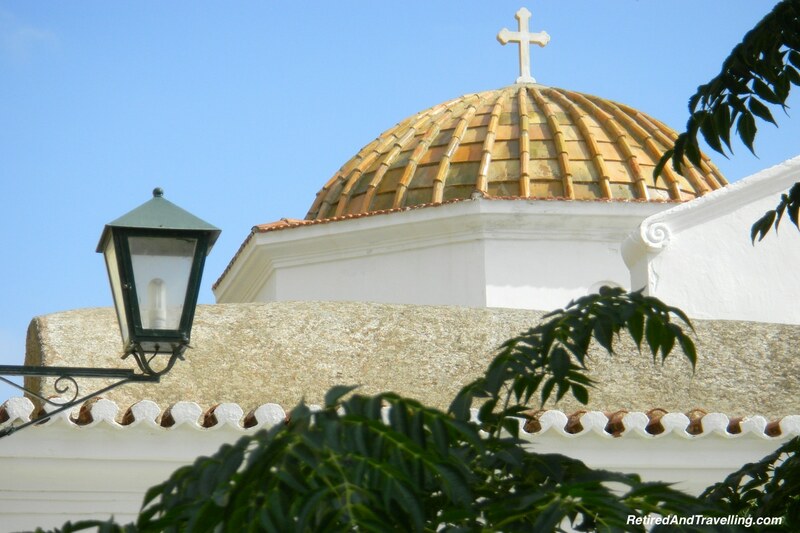 You might choose more adventurous activities to tour around Crete or Corfu. 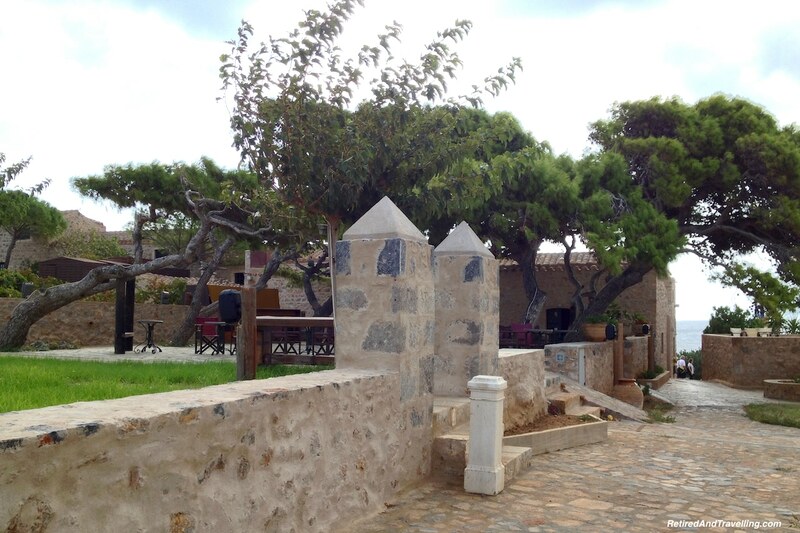 Or you can take a historical tour of the Greek Islands to see another facet of Greece. 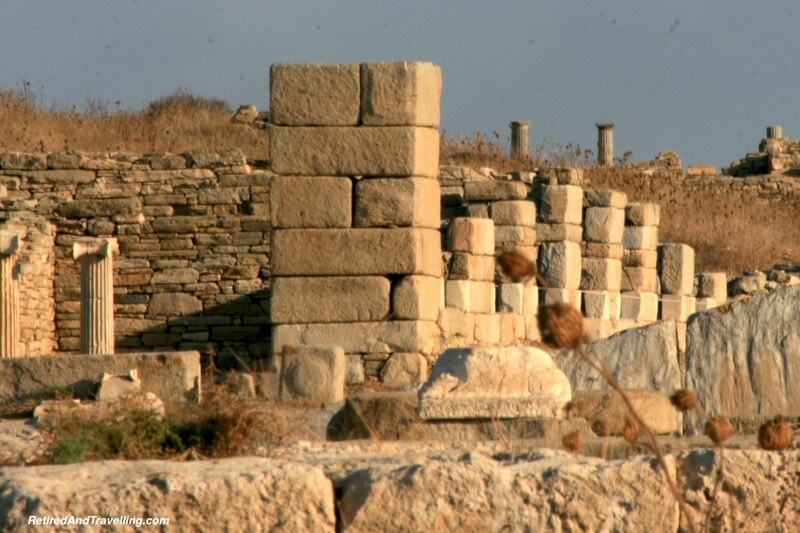 If Mykonos is on your Greek island tour, don’t miss Delos. It is a quick ferry ride away. Be prepared to see an amazing and extensive ruins site. 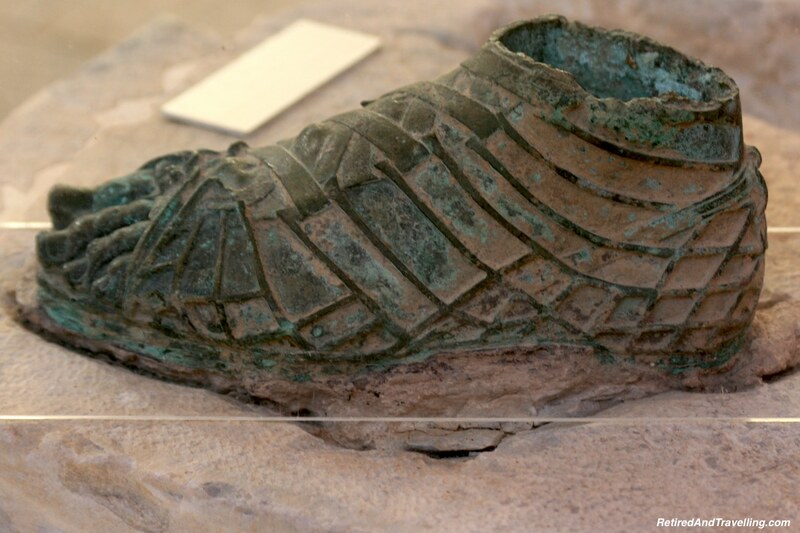 While many of the ruins are not as impressive as you will find visiting Athens, they are rich in history. Our guide was an expressive Greek woman, who regaled us with mythology and history lessons at every stop. Memory cells awoke as I recalled the stories of gods and goddesses. Delos was apparently sprung from the sea. It was the haven for one of Zeus’s mistresses floating at sea trying to escape Zeus’s wife to bear the twins Apollo and Artemis (the first true feminist). The site includes one lone palm tree, supposedly the one that was grabbed as the twins were born. You could see the Naxian Lions lined up in a row. The ones on the site were in great shape. 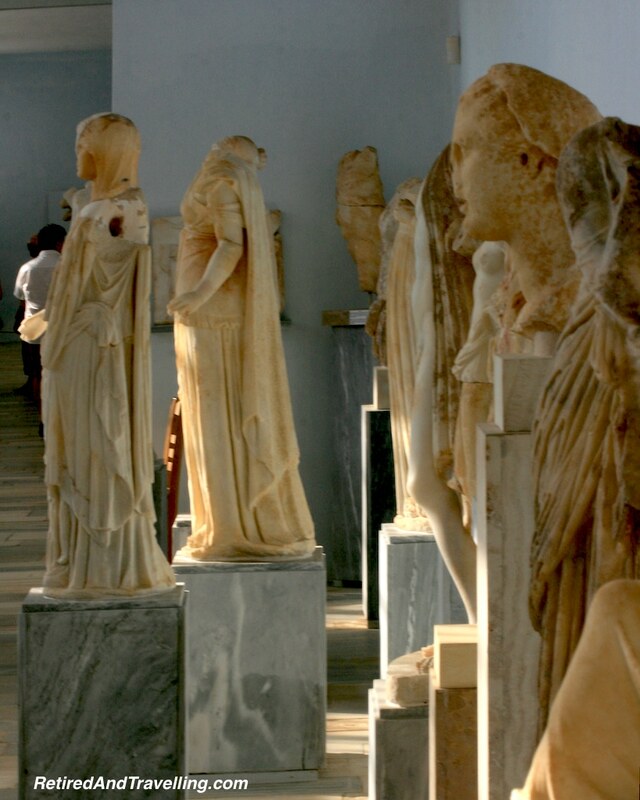 When we later visited the museum, we would learn that the ones outside were replicas of the original statues put for safekeeping in the museum. It was an extensive ruin, with the layout of the town and the houses very visible. Many of the ruins gave a good view into everyday life. 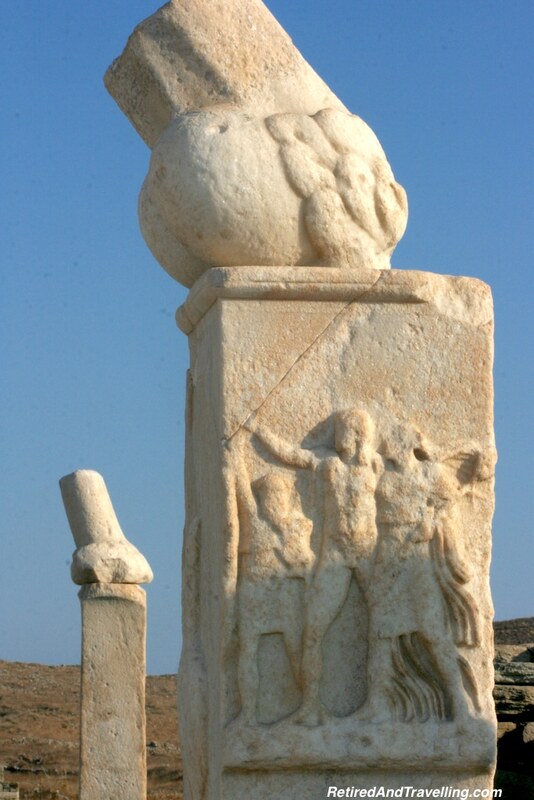 There were monuments to various gods in duplicate and triplicate around the site. The islet is uninhabited except for the small houses for on site archeologists. Everywhere you looked there were piles of stones that David kept saying had been artfully arranged by archeology students having fun. We were very disappointed to not be able to see the amphitheater to add to our extensive collection of amphitheater sites. The museum had a great collection of artifacts on display. 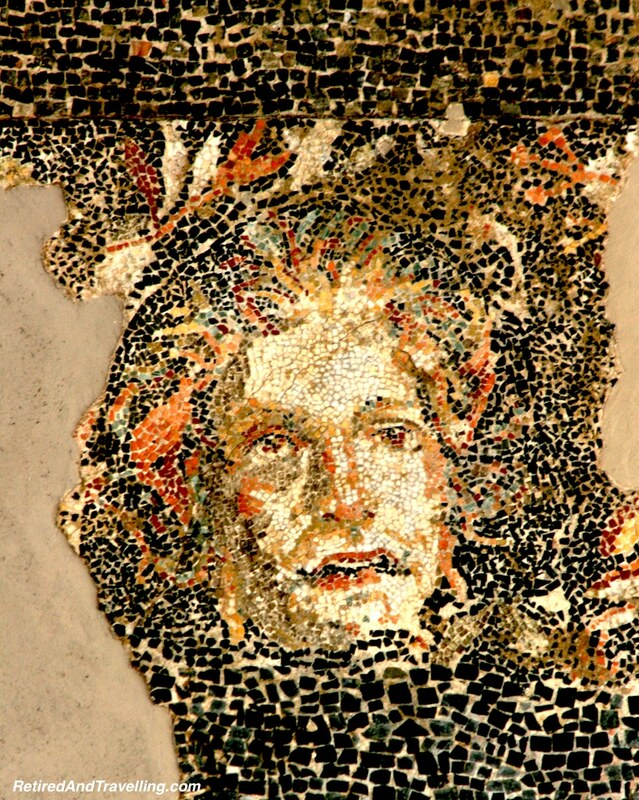 I am often amazed at how well mosaics survive the test of time. In Ravenna in Italy, you can find amazing churches and buildings replete with well preserved mosaics. 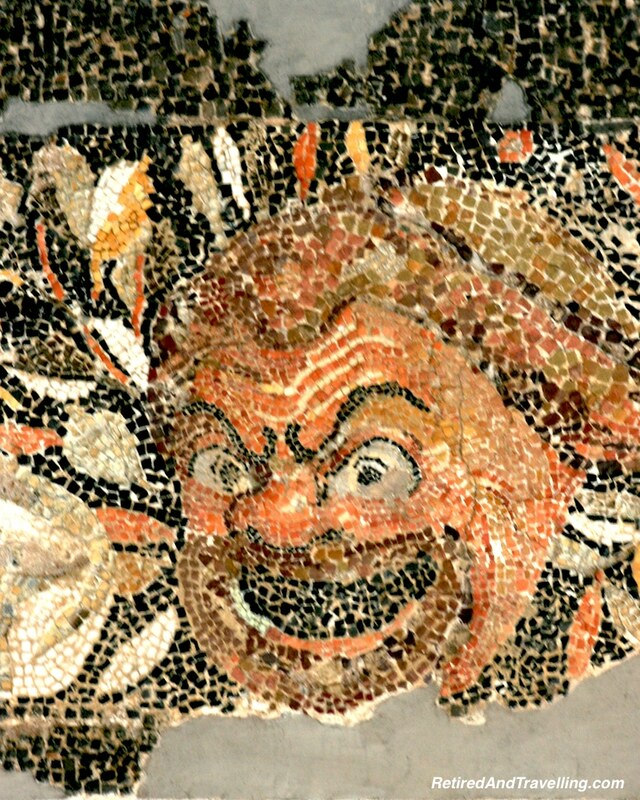 The colourful mosaics in the Delos museum drew us in for a look. 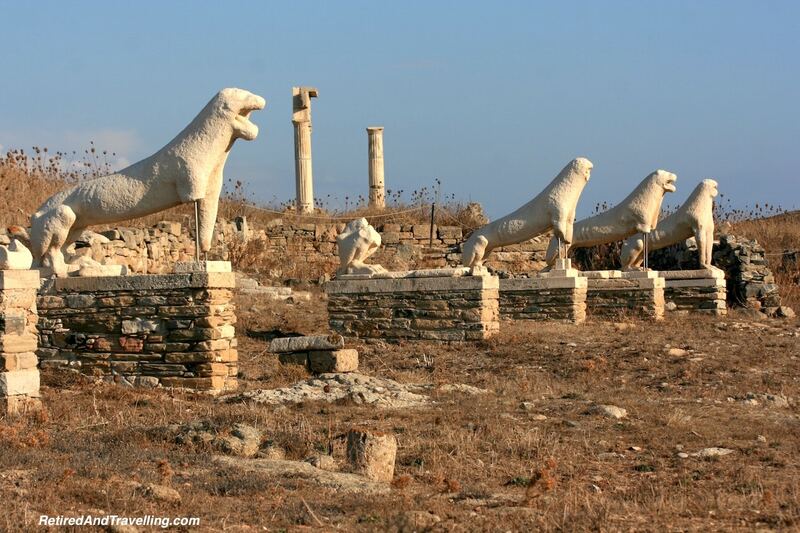 Delos is certainly worth a day trip from Mykonos if you want a historical tour of the Greek Islands! 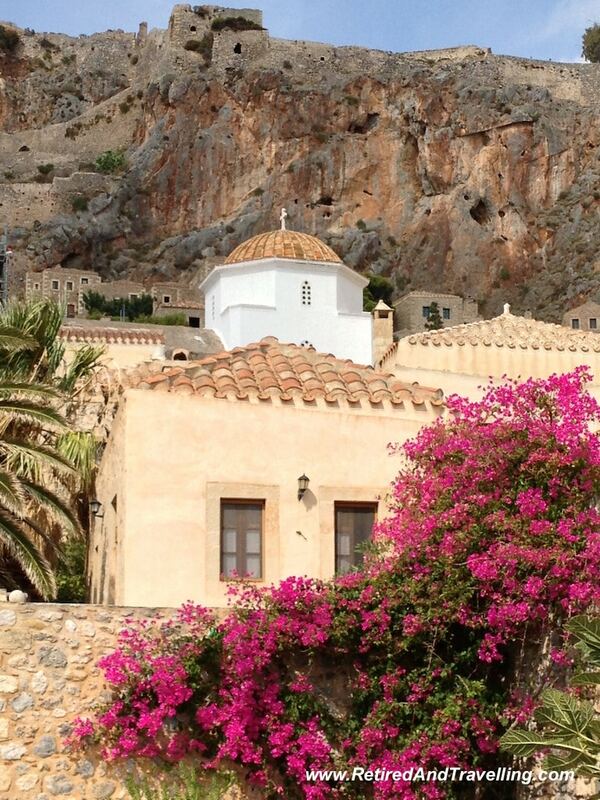 You have probably never heard of the Greek island of Monemvasia. 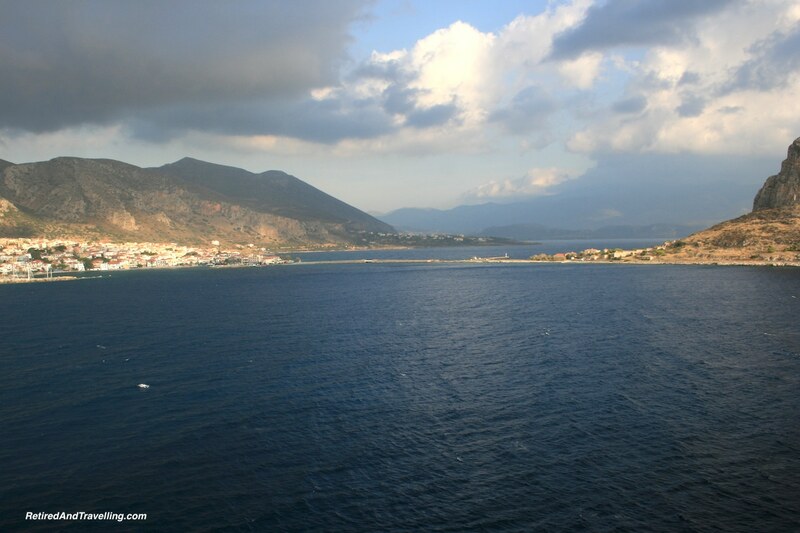 It is a very small but beautiful island east coast of the Peloponnese connected. 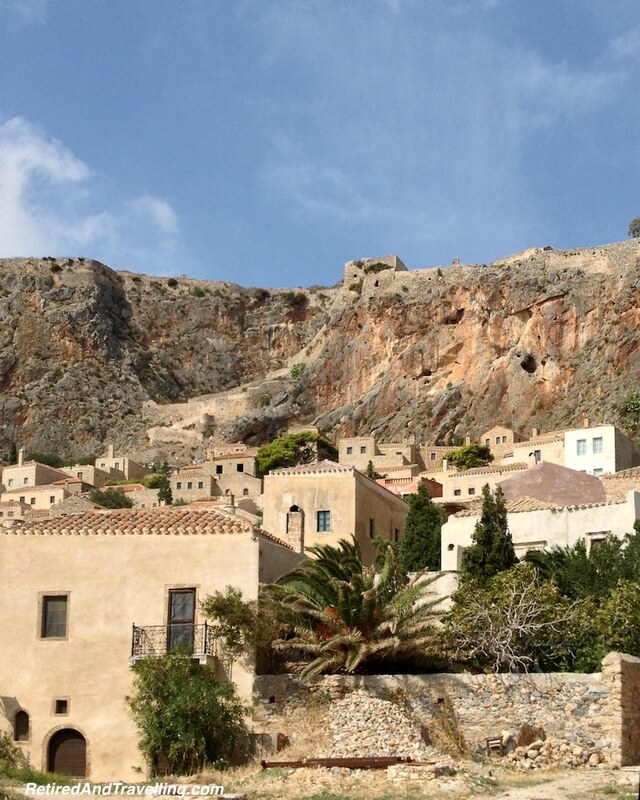 Monemvasia was created when an earthquake mass slid away eons ago, requiring a short, narrow causeway to be created to allow access to the old fortress. The town’s name means “single entrance” in Greek. 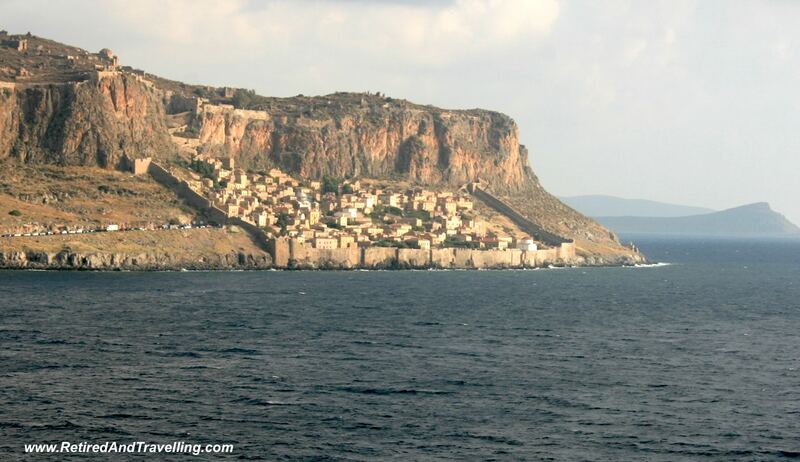 As you approach you will see the island dominated by a high plateau with the large Byzantine fortress town at the base. This fortress site changed hands again and again, until it was liberated during the Greek War of Independence in the early 19th century. The variety of architectures you can find in this small area show this change in occupation. 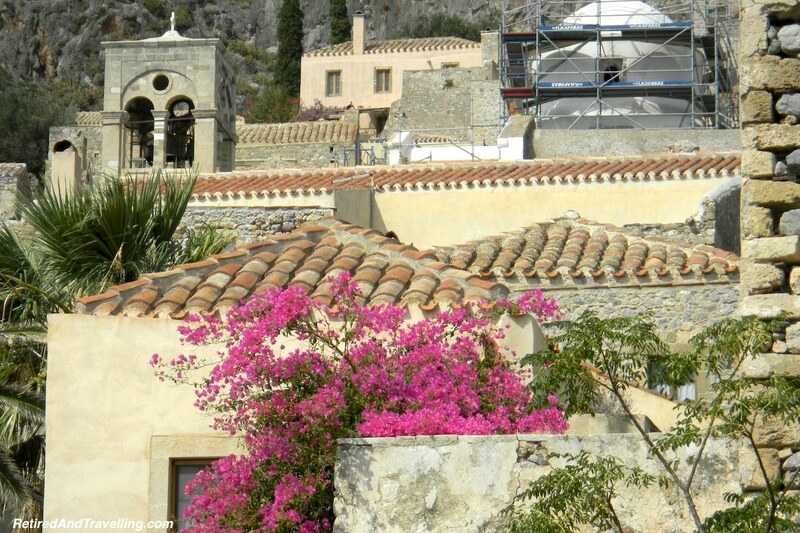 The island of Monemvasia is a great stop on your historical tour of the Greek islands. We headed out along the causeway for the 3km walk to reach the fortress. That would be the easiest part of our walking, as we entered the fortress with its cobblestone paths. Of course, even that would be easy compared to the goat paths that David would make me wander for just that right view. Just call me “Billy Goat”. The fortress alleys wandered up and down and up. We took the high path with its view down over the colourful rooftops below us. Even though the path up to the monastery was not as high as others we have done in Italy, we passed on the higher climb. We would miss this spot on this historical tour of the Greek islands. 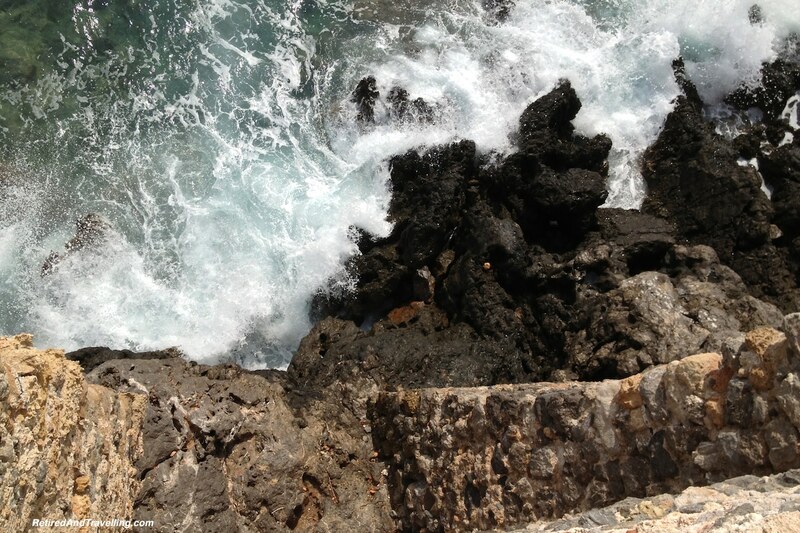 Wandering out of town, the goat paths meandered down and then back up to the sea wall. We could look over and see the waves pounding in. Savage and captivating at the same time. The walk back was downhill. But we had been on our feet for hours, so we strolled at a slow pace. 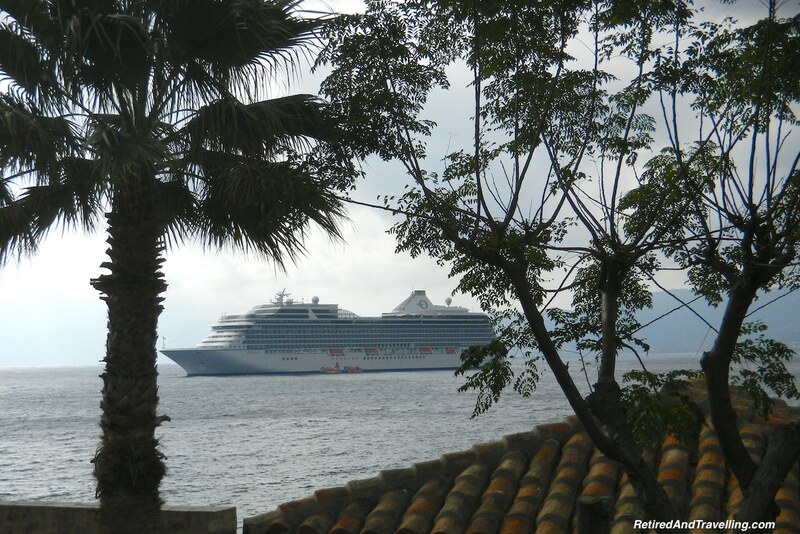 Every now and then we could see the cruise ship teasing us along. 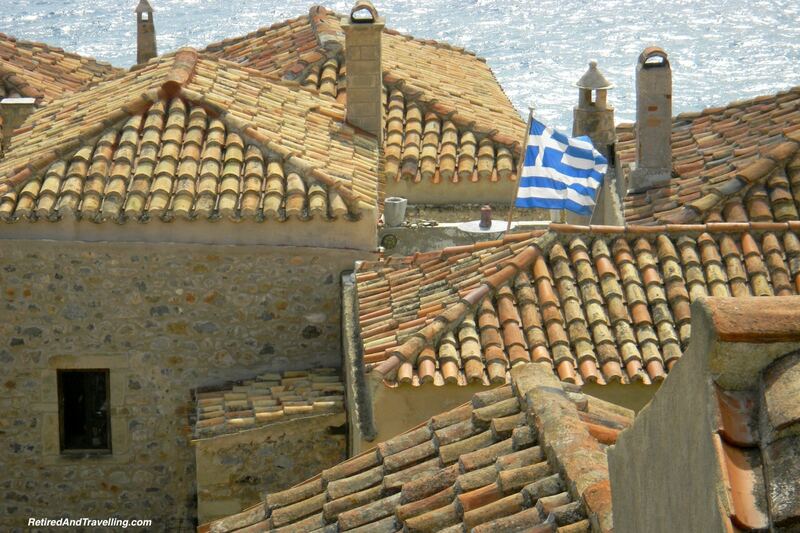 If you are visiting Athens, you should consider a trip to Monemvasia. There were several very nice bed and breakfast style hotels on the peninsula. It is only a 5 hour drive to Athens. It would be a nice place to chill out for a few days when traveling around Greece. Mainland Greece is large and a visit to Athens should be on every Greek itinerary. 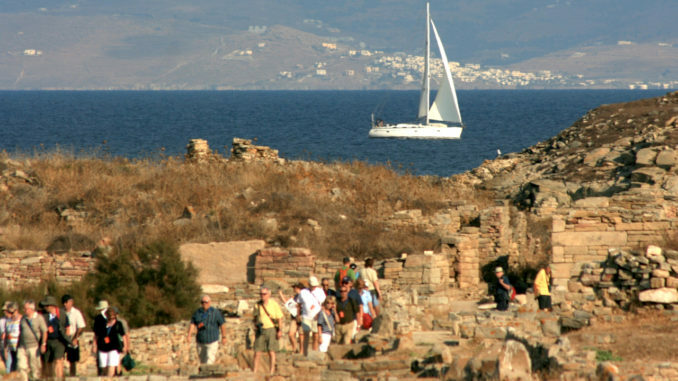 But don’t miss a chance for a historical tour of the Greek islands. 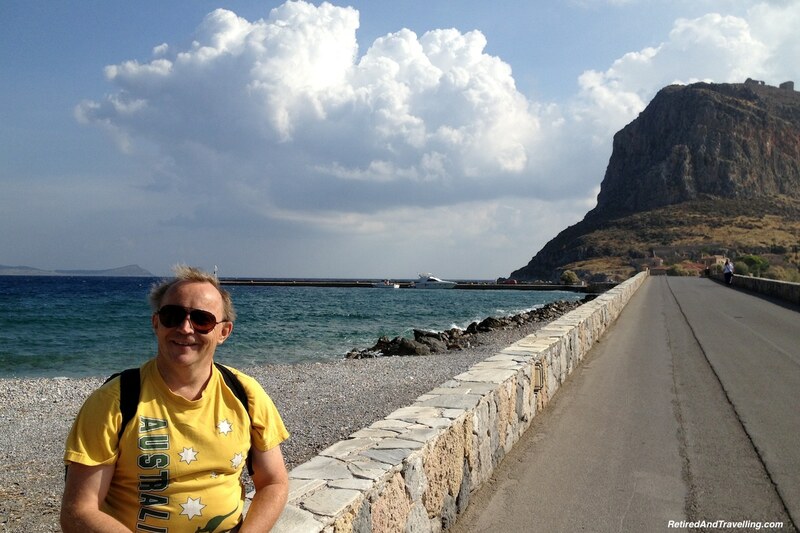 Monemvasia is an easy trip from Athens for a few days. 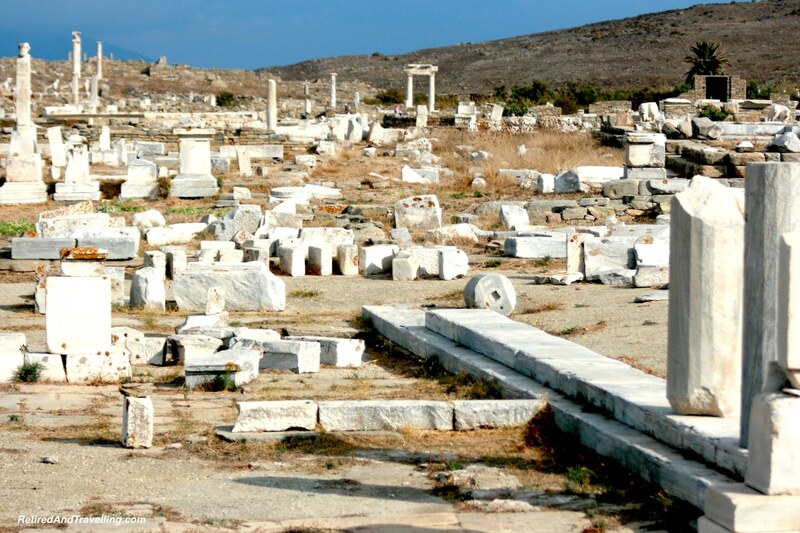 Delos is a short hop from Mykonos and worth a day trip. These islands will not get you the iconic blue and white vistas of Santorini and Mykonos. But they will give you another great perspective on Greece. 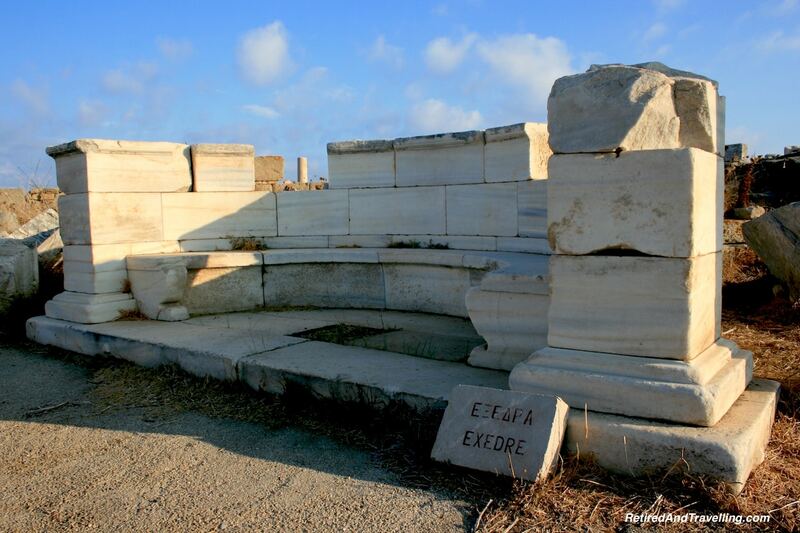 Have you done a historical tour of the Greek islands? Was there another Greek Island that was your favourite? What little piece of forgotten history came back for you?